It is our sincere pleasure to work with the Western Mountain Biking Tourism Association, a progressive sector destination marketing organization passionate about promoting mountain bike tourism in British Columbia. We are truly excited to be able to play a role in helping them with their mission! 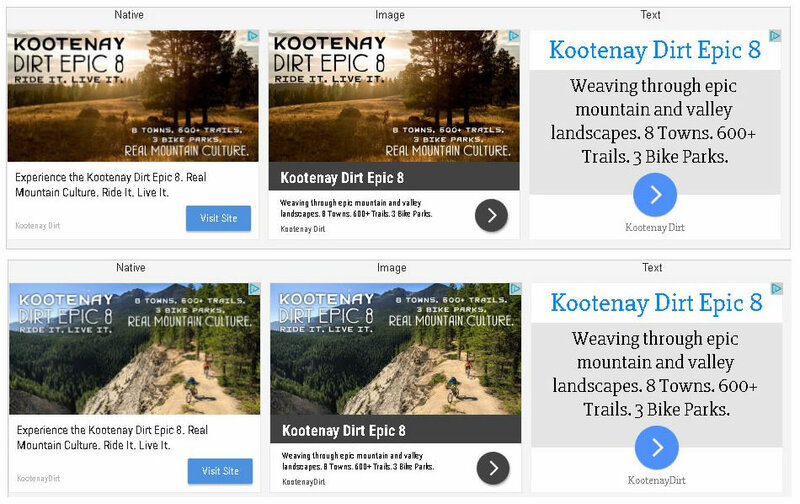 Our Web Advisors’ work with the MBTA encompassed campaign management services for the Kootenaydirt.com regional campaign, which included a variety of Google AdWords initiatives such as Display and Remarketing.